I have been to this nandos a couple of times previous and never had any problems before so was expecting a pleasant meal. Sitting on a complex with cinema, bowling and cheap parking around the corner i was anticipating a busier restaurant than i was met with. We were shown to our table by lady who i must admit looked fairly bored. She told us our table number and walked away. We managed to order our food straight away with the restaurant being empty which is always a good thing when you are hungry and have a film to catch in less than an hour. I got a Medium Beanie Pitta with cheese, Mash and Chips for free courtesy of my full chicken loyalty card (Thank you nandos addiction). Plenty of lemon and herb sauce was available. It is my favourite but you can't always get it. My three other friends got their food fairly quickly but mine took maybe 10 minutes longer! Strange considering how empty it was. Thankfully once my food finally arrived it was very nice. However one of my friends had the privilege of her mash arriving with a hair in it! After asking for it to be changed she was given the same mash back seconds later just messed up a bit! The waitress denied this and left! Telling a manger the problem she replied with 'i don't know what you want me to do' at which point we decided to forget it, quickly finish what was left of our meals and leave. Despite my food being free and nice (once it finally arrived) I have to say i was very disappointed with the service especially the way they treated my friend. Hopefully this was a one off experience! Hey Danielle, thanks for your first two reviews! Sounds like a mixed experience at this branch. Have you been to the other Bradford branch? 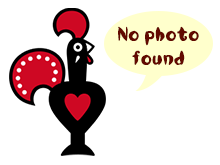 Don't forget to add a photo to your profile - preferably of you at Nando's :-) Hope you like the new site.